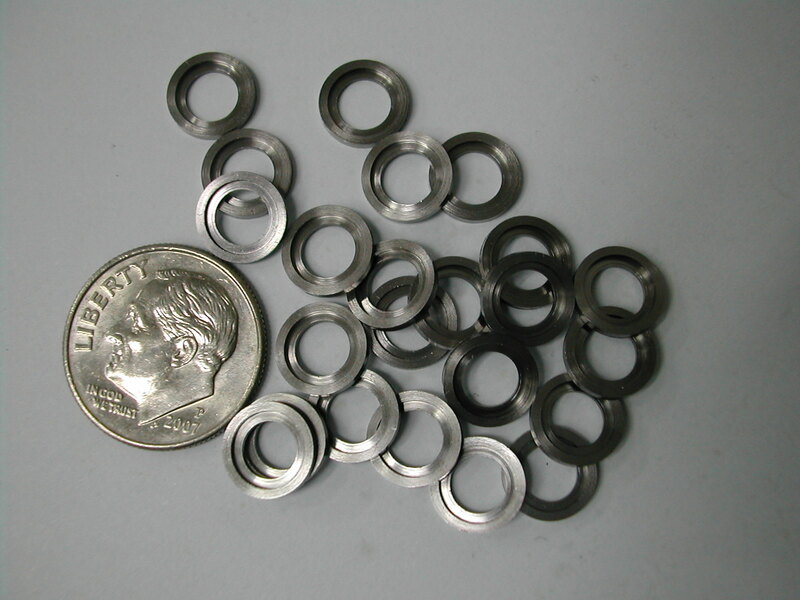 The valve spring cups began life as a length of 10mm 416 stainless steel heat treated to HRC32-35. These parts get beat on by the valve spring retainer many times a second and I didn’t want any deformation occurring. 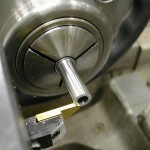 Besides, heat treated material machines to a beautiful surface finish. 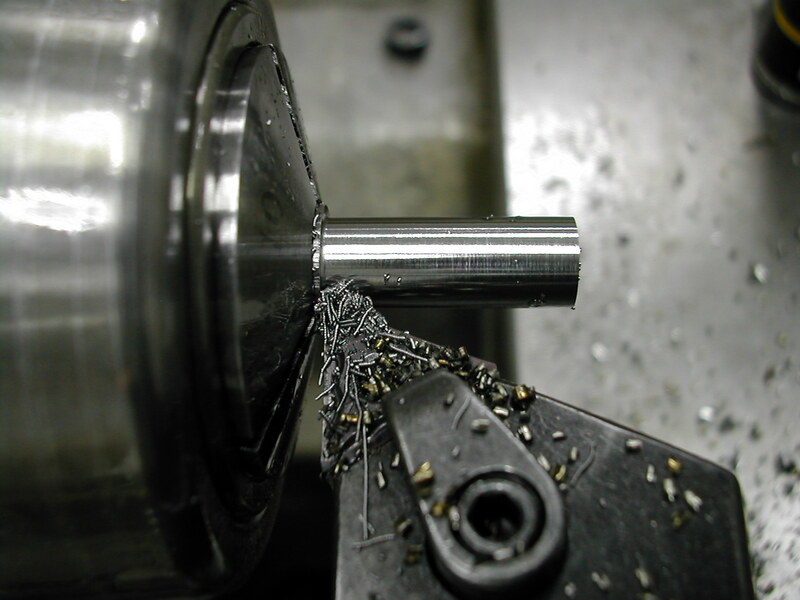 The first step was to rough turn the O.D. back about 1″. 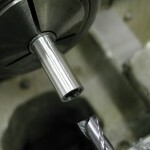 This was followed by center drilling, drilling and then reaming 0.1875″ diameter about 1″ deep as well. 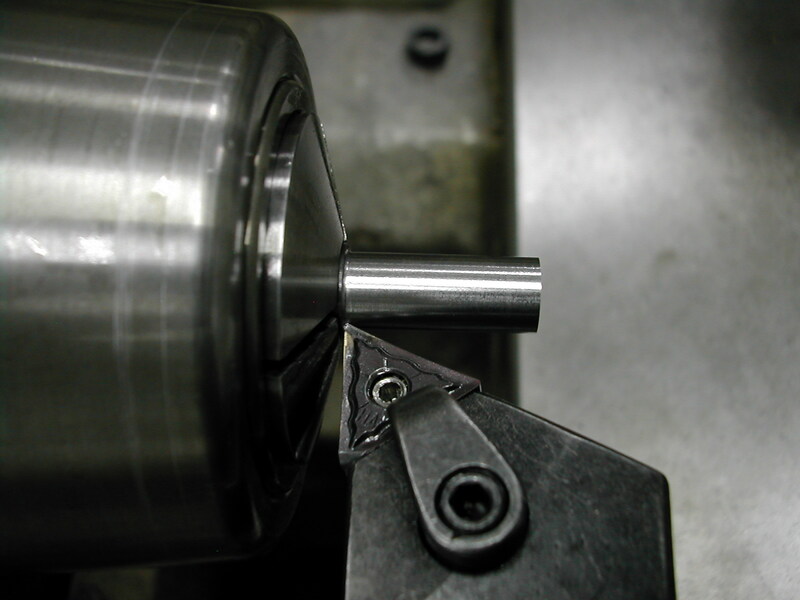 The finish cut for the 0.312″ outside diameter was next. 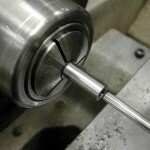 With the parting tool set-up, a skim cut was made on the end of the stock to set the “0” point. 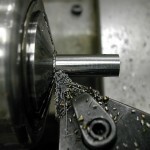 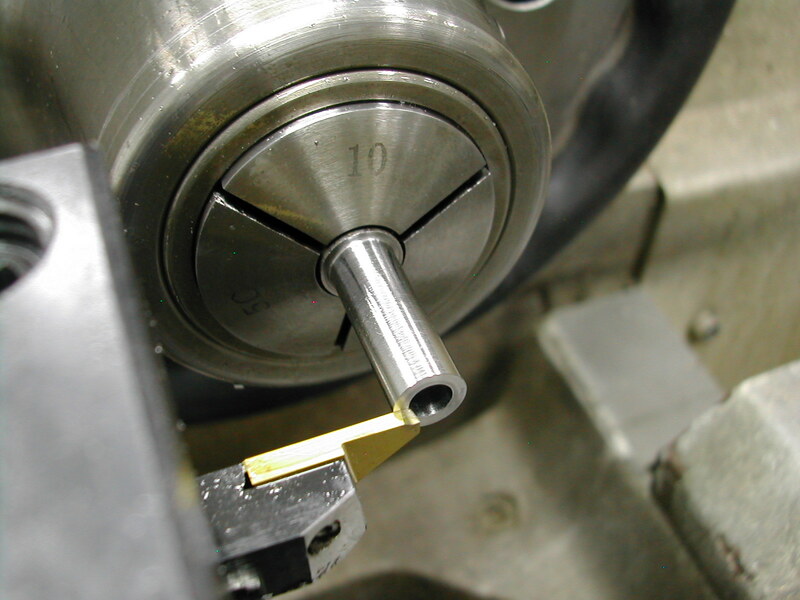 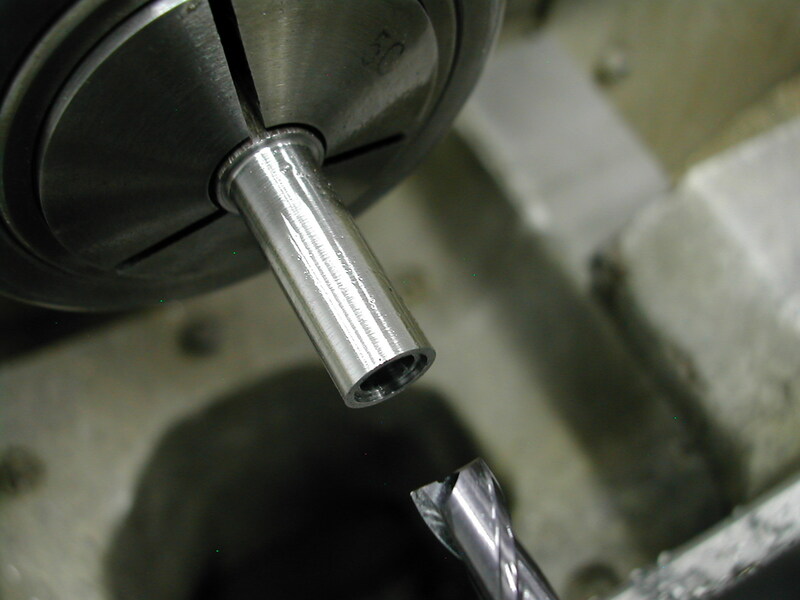 The face was then counterbored 0.020″ deep with a 6mm end mill in the toolholder offset to bore the 0.250″ diameter. 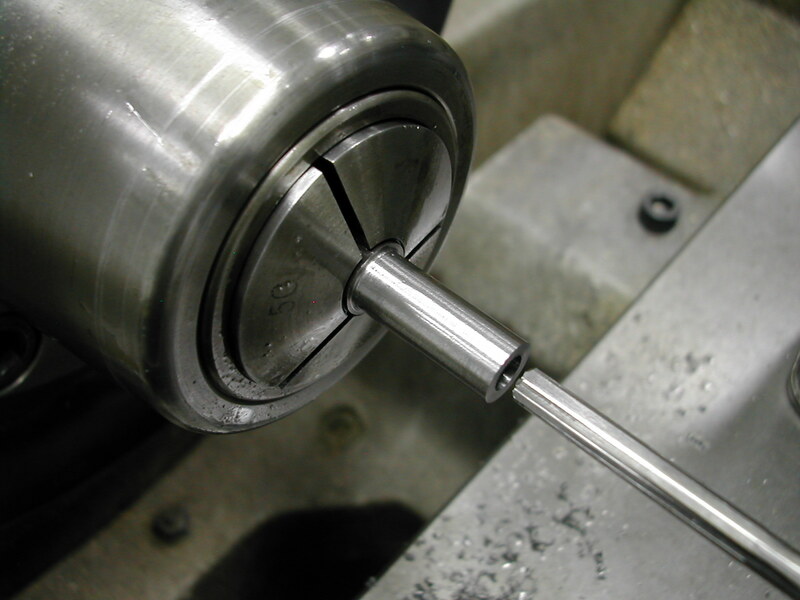 The parting tool was then reinstalled on the toolpost and the valve spring cup parted off about 0.001″ longer than the finished thickness. 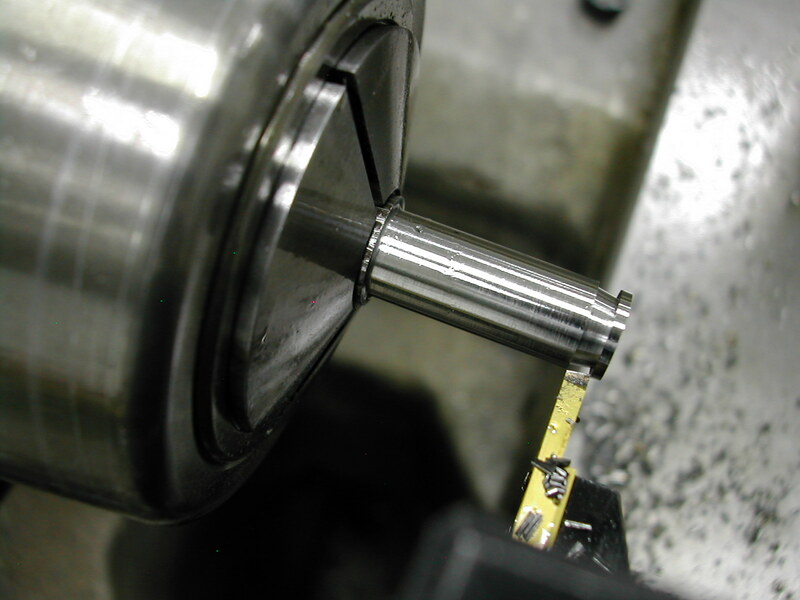 These last 3 steps were repeated until the 1″ of material was used up and then the whole process was repeated two more times. 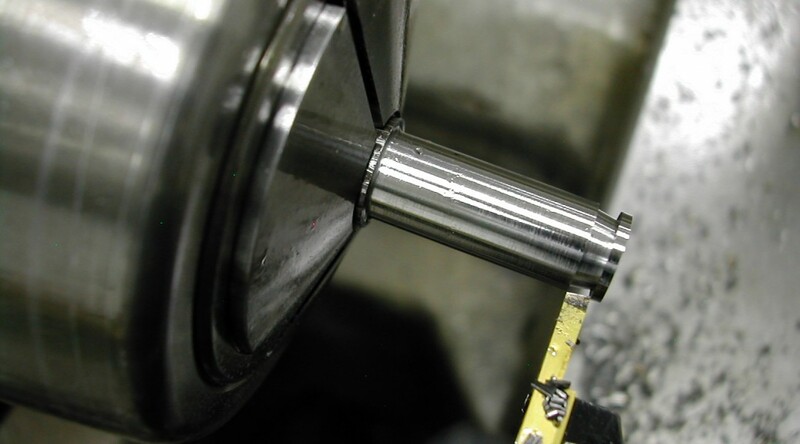 After a quick trip to the surface plate with some 400 grit paper to lap the remaining 0.001″ from the parted-off backside, we have a fleet of valve spring cups.